Once upon a time, I had waited so long to become a mom. And when the day finally arrived, I was lucky enough to be a Mom TIMES TWO! My twins each had to spend a little bit of time in the NICU - Slim about five days longer than Joey. I brought Joey home first and honestly thought, This is so easy. What are moms complaining about? Once Slim came home, it was a little more hectic; but in no time we were on a schedule of naps and stories and tummy time and feedings. 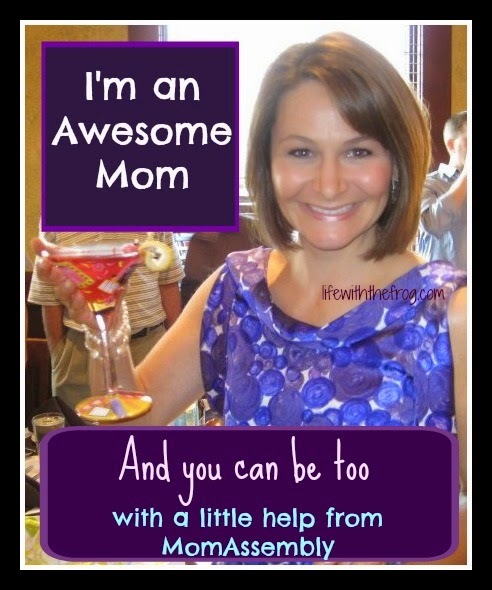 I had the mom gig down to a "T."
Until they were about 15 months old, that is. Then they entered what I would later find out were the beginnings of the "terrible twos." I mean, holy cow! What had I done wrong? How had I screwed my little darlings up so much that they were throwing temper tantrums and banging their cute little heads on the floor and pulling each other to the ground? Was it because I was pregnant again? Could they sense impending competition? Were they planning a coup d'etat? Now, nine years, three more babies, and several parenting guffaws later I realize that while some things about parenting were easy for me, I seemed to have put out of my mind the things that were not; namely, the terrible twos. But there were also the sleepless nights trying to nurse two babies, there was a baby who got his nights and days mixed up until he was eleven months old, a baby who wouldn't take a bottle and seemed to want to nurse 24/7, there was a toddler who was extremely jealous of a new baby's arrival (so much so that he punched me right in my engorged breast and gave me mastitis), there was the toddler who wouldn't eat anything but Goldfish crackers, and now, oh my goodness NOW all the sibling rivalry. So much sibling rivalry! Enter MomAssembly, the world’s first online video-education site for moms. Founded in 2012 by Jill Spivack and Jen Waldburger who have nearly two decades of experience as family and parent educators, MomAssembly is an interactive university, available 24-7 from the comfort of your home giving you all the information you need to raise happy, healthy kids. Man, I wish this had been around a decade ago! With access to over 500 courses by world renowned parenting experts that you can watch on your own time frame, there is bound to be a solution and some advice to every parenting issue you're facing from newborn care to sleep to safety to discipline and behavior and much much more! Every course has about a two minute sample clip you can view to see if you want to buy the course, and each course comes with several classes that are between 5 - 10 minutes long, perfect for fitting in to your busy schedule. The courses cover topics from birth to school-aged children and are child-oriented and parent-focused. Even a five-time veteran mom like me can learn something new. And now MomAssembly wants to offer you a chance to try their courses for free. The first 10 readers to complete sign up for a subscription plan will receive their first month free! You will have to actually sign up for a plan and enter your credit card information - though the card will not be charged until the end of your free trial. You will then receive an email from Jill or Jen notifying you that you have won a free month. It's that easy. So to review: parenting issues ----> MomAssembly advice ---->quick, convenient, and inexpensive videos---->free month trial---->chance to win a free month. What's not to like? What's not to try? Do yourself a favor and browse some of their courses here. If you want to be one of the lucky ten who gets a free month's subscription, click this link and sign up now. Hubby and I are working our way through a course on raising kids other people will like to be around ('cause let's face it, they're not always a joy at home). I have my eye on a few other discipline and parenting courses as well. In parenting, there is always something we can learn. Let's let the experts at MomAssembly take some of the work out of it for us so we are free to learn, grow, and love. *I was compensated by MomAssembly for this post, but the admission of my parenting failures and my thankfulness for MomAssembly's parenting videos are all my own.